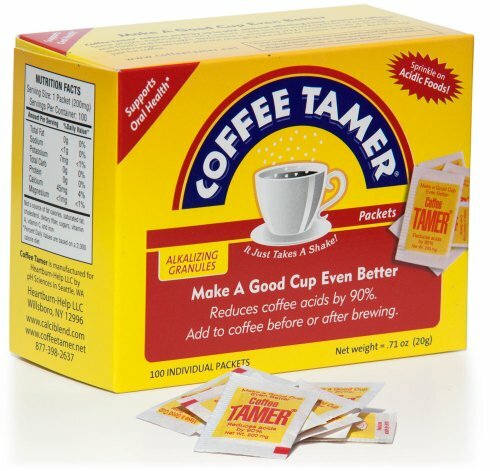 If you love coffee but hate the heartburn, acid reflux and other nasty side-effects that can result from a harsh brew, never fear! Coffee and acidity: What’s the big deal? People, listen! If you enjoy regular coffee without any ill-effects, then you probably haven’t given much thought to its acid content. However, if you suffer from any digestive issues, gastrointestinal ailments or endure bouts of acid reflux, enjoying a simple cup of coffee may not be straightforward. Let’s face it, something you love should not give you heartburn! As you may remember from school, acidity is measured on the pH scale – 7 being neutral, anything above 7 is alkaline and anything below 7 is acidic. It follows that the lower the number, the higher the acidity. For example, lemons are around 2.3 on the pH scale, while plain crackers are around 7 to 8.5. Regular black coffee has a pH of about 5, although this varies depending on the roast, the roasting process itself and even where the beans were grown. In the world of acidity, a small variation in pH can have a significant difference. Coffee acidity can in fact range from as high as 4.3 to as low as 6, which presents quite a large variation. In general, a darker roast (including French and espresso roasts) will have lower acid content, as the roasting process can ‘burn off’ the acidity. Robusta (such as you find in instant coffees) is higher in acid than Arabica. 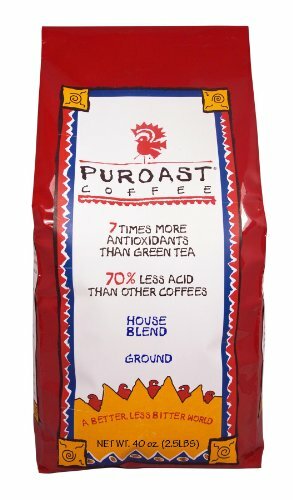 Sumatran coffee tends to be naturally lower in acid than Kenyan coffee, for example. In terms of brewing method, French press or Chemex can lead to a less acidic brew, as can the cold brew method. 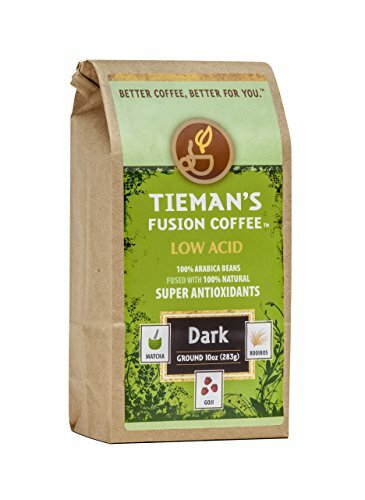 If you need (or prefer) to limit or avoid food and drink that has a high acid content, you might like to consider switching to a low acid coffee, such as the ones we’ve listed here. Some of these coffees are simply naturally low acid, whereas others have the acid removed during roasting/processing. As the name suggests, this brand aims to appeal to women at every stage of motherhood. But that doesn’t mean the rest of us can’t enjoy the range too! As well as the low acidity, their coffees benefit from being organic and fair trade. Notably, the range features several different ‘caff’ options, including half and quarter-caff, in addition to full caffeine and decaf. The caffeine content depends on what bean you are after. The coffee is processed using the water method, which avoids harsh chemicals. Overall, this is a range of natural low acid coffees that are suitable for mothers and anyone else looking for all the great coffee flavor without any harsh after-effects or chemicals. 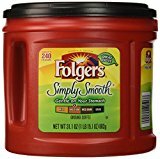 Each coffee in the range costs around $16 for 20oz. 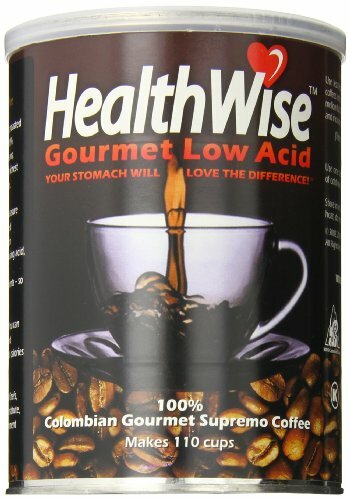 This low acid brand features a range of gourmet options for the coffee lover who finds regular coffee too harsh on the stomach. In addition to full caffeine and decaf options, in the ground coffee varieties, the range also features K-Cups, which are compatible with Keurig 2.0 brewers. 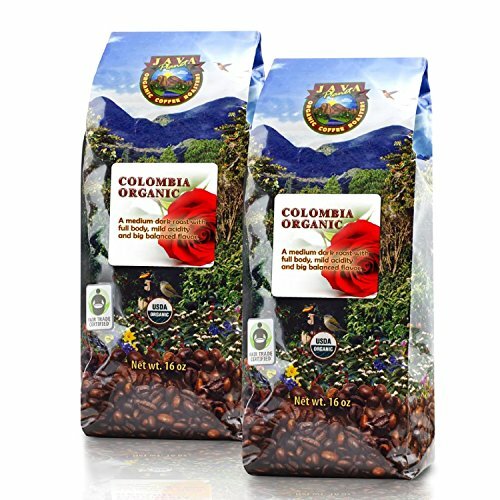 The coffee is top quality 100% Columbian Arabica. The small-batch coffee is processed using the so-called Techno Roasting process which eliminates acids and other irritants and is exclusive to this brand. The range starts at around $10 for 12oz of ground or for a box of 12 K-Cups. 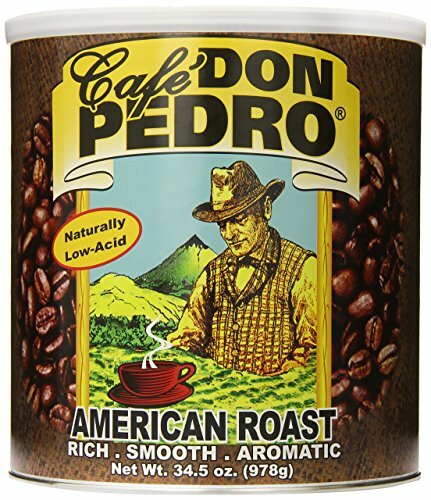 This is a range for the coffee lover who wants a low acid option, but without sacrificing variety. The range offers whole bean, ground and 2.0-compatible K-Cups, along with decaf and some interesting flavored coffees. These include the nutcracker sweet and mocha flavored drip grinds. Again, the secret is in the roasting process, which apparently reduces acid content by more than 70%, when compared to leading brands. The range starts at around $13 for 12oz of the ground house blend, with a box of 12 K-Cups starting at around $11. 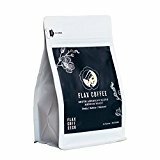 This a great everyday range for coffee lovers who like a dark, medium or light roast. 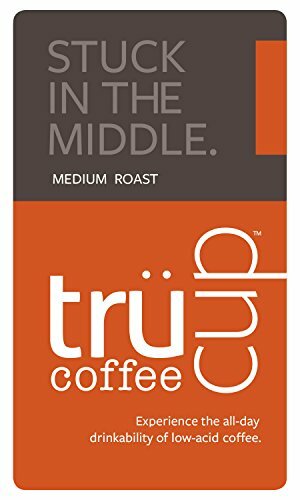 They also offer an espresso blend, a decaf option and K-Cups, which, again, are compatible with 2.0 Keurig model brewers. Harsh acids are removed by the patented, all natural process that utilizes water and steam. The coffees are small-batch roasted, premium blends. They also feature neat names like Born to be Mild and Fake it to the Limit! The range starts at around $12 for 12oz of their Stuck in the Middle medium roast drip grind, with 1lb bags also available, starting at around $15. 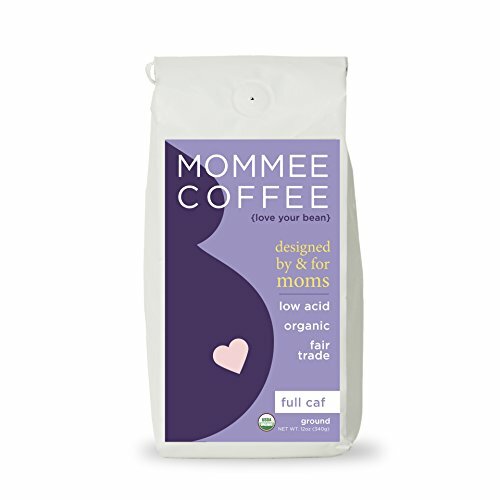 This is a great range for anyone who loves premium coffee, regardless of whether or not they prefer or require a low acid option. The beans are sourced directly from small famers in Mexico, who utilize the traditional shade-grown methods and harvesting practices. The result is a quality coffee that’s naturally low in acid, making for a smooth and flavorsome drinking experience. The range includes dark roast, medium roast and decaf, in addition to a black & tan roast (a mix of light and dark beans). They offer both whole bean and ground options. The range starts at around $25 for a 2lb bag, with 5lb bags also available. This range features organically grown coffees from around the world, including Colombia, Brazil, Ethiopia and Guatemala. The small-batch roasting process helps to ensure optimal flavor and a smooth drinking experience with mild acidity. The beans are all high-quality Arabica. The brand offers dark, medium, French roast and espresso whole bean options. The range starts at around $15 for a 1lb bag. They also sell the bags double packaged, so you receive 2lb for around $28. The Subtle Earth range of organic coffees by Cafe Don Pablo offer low acidity without compromising on flavor. The range features dark, medium-dark and light roasts, as well as single-serve options. 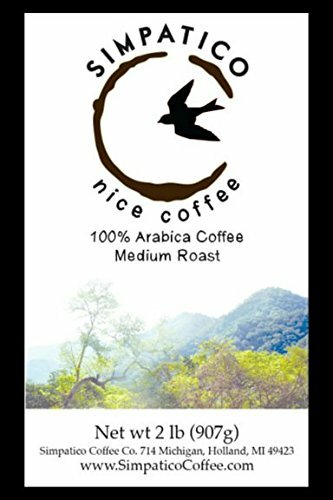 The Honduran Arabica beans are grown, harvested and processed using all-natural methods. The coffee has great depth of flavor, with notes of honey, caramel and cocoa. The range starts at around $17 for a 2lb bag, with 5lb bags also available. This range offers a low acid drinking experience and an injection of energy! The coffees blend 100% Arabica beans with matcha green tea, rooibos red tea and goji berries to offer up a unique beverage that promises low acidity and a rush of antioxidants. People have told me that this fusion coffee is very tasty. It isn’t like we’re fusing green tea with coffee, or herbal teas here — it’s still a decent cup of joe that any true cofee drinker will enjoy. 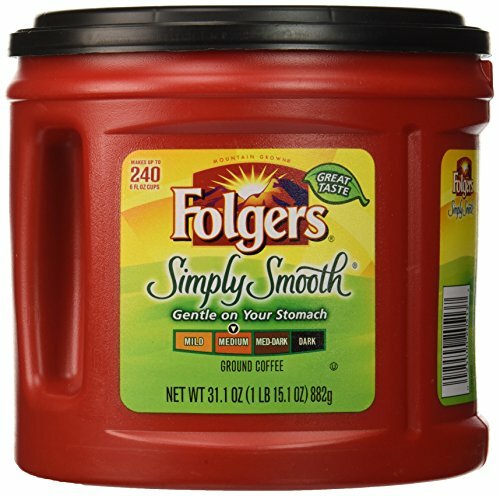 This household name brand offers a range of coffees that are designed to be gentler on the stomach. There are medium roast regular and decaf versions available. 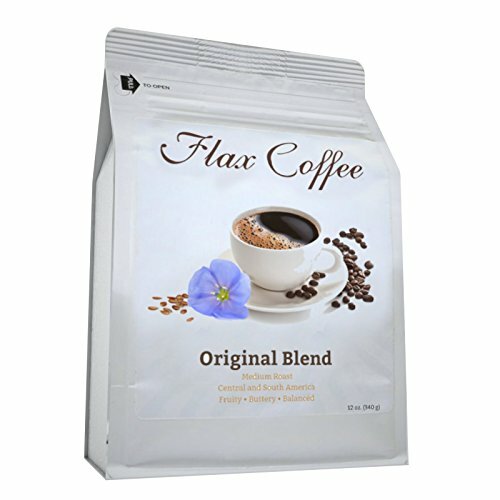 This range features a clever blend of 100% Arabica coffees and flax seeds, which are alkaline (thereby neutralizing the coffee acids). 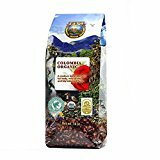 This flavorsome coffee is sourced from the Andes. It boasts subtle notes of cinnamon and nuts with a rich and smoky aroma. Despite all these great low acid options, if you still can’t bear to part with your favorite coffee or give it up completely, why not check out these nifty granules? They come in small packets, so you can conveniently add them to your beverage at home or while out and about. They work to lower the acid content of whatever you add them to by around 90%, without impairing the flavor. The key ingredient is alkalizing calcium carbonate that neutralizes coffee acids, just like when you take a Tums to settle your stomach acids after a big meal. The granules cost around $13 for a box of 100 individual sachets. Thanks for the informative article and your professional research!